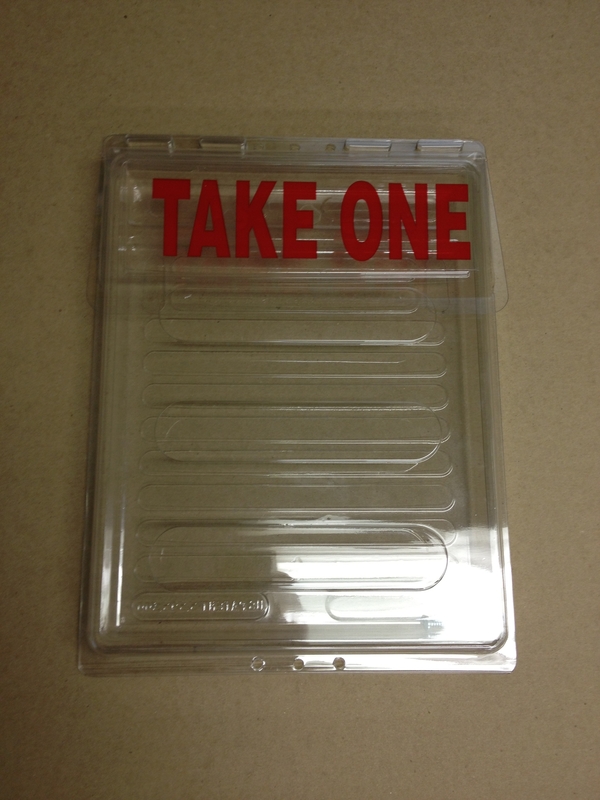 One clear "Take One" flyer box. One clear "Take One" flyer box. Box comes with two zip ties for attaching to railings or fences. As well as two screws for attaching to the Wood Post.